Playhouse Parties present a rip roaring adventure through Sherwood Forest this February Half Term with Robin Hood. 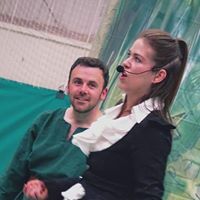 Full of songs, comedy and audience participation starring Daniel Brisco as Robin and Alexandra Whitworth as the evil Sheriff of Nottingham. What better way to enjoy the February half term than grabbing your bow and arrow and come along to The Attic Theatre to help Robin Hood and Maid Marian save the day!